A TRUE POPULIST FOR DISTRICT 88 AND THE PEOPLE OF OKLAHOMA. 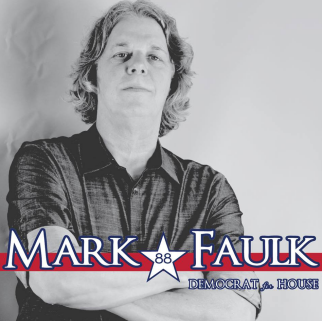 Come hear House District 88 candidate Mark Faulk speak to the Democrats of Oklahoma County. You'll understand why we need to elect a fifth generation Oklahoman and activist who has actually put himself on the line for the people of Oklahoma time and time again. While others are delivering the same old tired politics as usual catchphrases, Mark speaks out loudly and with conviction, from the heart and with true passion, and has an understanding of public policy and the issues that is the perfect fit for the most progressive district in Oklahoma.